Ballarat, Victoria is a popular destination for a weekend getaway from Melbourne. For those who live in the West, Ballarat is an easy day trip. 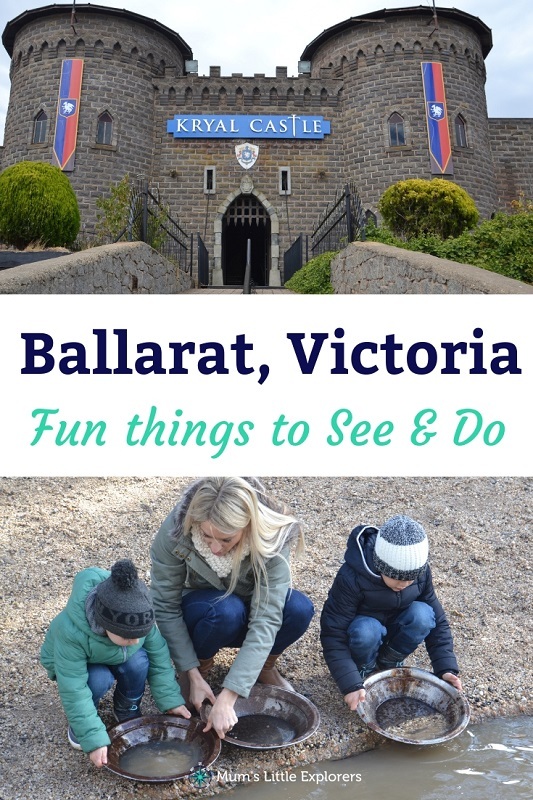 Although most famous for Sovereign Hill, there are many other fun things to do in Ballarat for any type of traveller, and especially if you visit Ballarat with kids. Where is Ballarat and what can you do there? Ballarat is about 100km from Melbourne’s centre making it a popular day trip destination for those who live in Melbourne, or those visiting the city. By car from the city you can arrive in less than 2 hrs with easy drive down the Western Freeway. There are also trains that go direct from Southern Cross Station that take just 90 minutes. The historical city of Ballarat has some of the most popular attractions to visit in Victoria and there is a lot to see and do. Here are 7 fun things to do in Ballarat with kids, (or without). 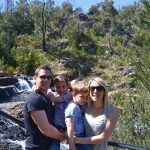 Whether you are travelling solo, in a couple, or you are a family visiting Ballarat with kids, you will be pleasantly surprised with the amount of fun things to see and do in Ballarat. 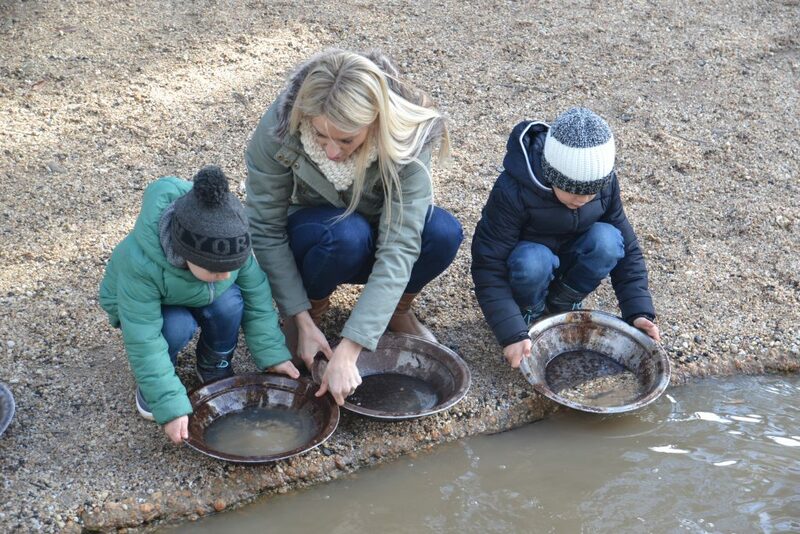 One of the most famous things to do in Ballarat with kids is to visit Sovereign Hill and you should set a whole day aside just for this attraction. Step back in time to the Goldrush days in Ballarat when you visit Sovereign Hill, Melbourne’s most amazing outdoor museum. Pan for gold to see if you find a lucky gold nugget, and if you do it’s yours to keep. Take a guided gold mine tour, catch a horse-drawn coach around the town, or stroll along the main street exploring homes as they would have looked way back in the 1850’s. Sovereign Hill have many events during the year including their most famous Winter Wonderlights – Christmas in July where the decorated streets are filled with Christmas lights and snow (of the fake kind). Read more about Sovereign Hill here. Just as popular as Sovereign Hill, Kryal Castle is another famous attraction in Ballarat, and again you can easily spend a whole day here. This medieval adventure park is filled with myths, legends, and fantasy. Get lost in the labyrinth, make potions in the wizards workshop, test your skills at archery or watch the royal joust. 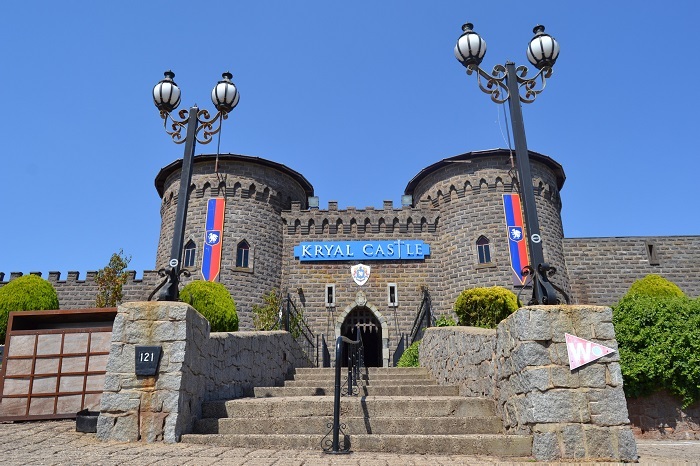 Kryal Castle makes a fantastic day out in Ballarat, but you can also stay the night! Ever wanted to stay in a real castle? Well here is your chance. Kryal Castle have gorgeous rooms and suites for the whole family. Read more about Kryal Castle here. Of all the zoo’s in and around Melbourne, the Ballarat Wildlife Park is definitely a favourite simply because of the amount of interaction you can have with the animals. 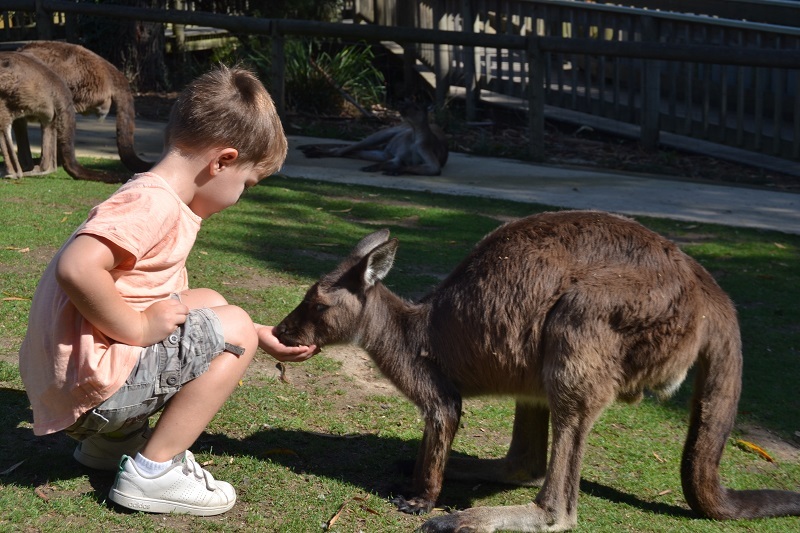 Usually, when you visit a zoo or wildlife park, you need to book a special encounter and pay extra to get close up to the kangaroos. However, immediately as we walked into the Ballarat Wildlife Park we were surrounded by kangaroos. We were given a bag of food on entry thinking we may see a couple, but there were dozens of them roaming freely around the park. Definitely a highlight of our visit and one of the best things to do in Ballarat with kids. Set aside a morning or afternoon for this one. 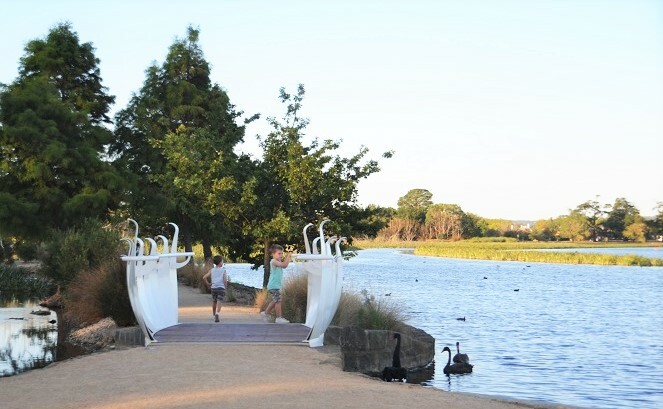 After you have visited the Ballarat attractions, take the kids down to Lake Wendouree for a walk. See the ducks and swans and just wonder around. When you want to sit, let the kids run wild on their huge adventure playground while you chill by the lake and just take in the stunning views. Across from Lake Wendouree you will find the Ballarat Botanical Gardens where you can walk through and discover the beautiful plants and breathtaking landscapes. It is common to see wedding couples having their photos taken in the gardens too so you may see a bride and groom posing along your way. Perfect during the Summer time, the Eureka Swimming pool is easily found in the centre of Ballarat. 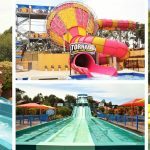 Featuring three different pools and a water park, there is something for all ages. You can choose to relax under one of the many trees or shaded areas, or sunbake on the grass. There is the option to swim some laps in the larger pool or just hang out in one of the kids pools if you have little ones. 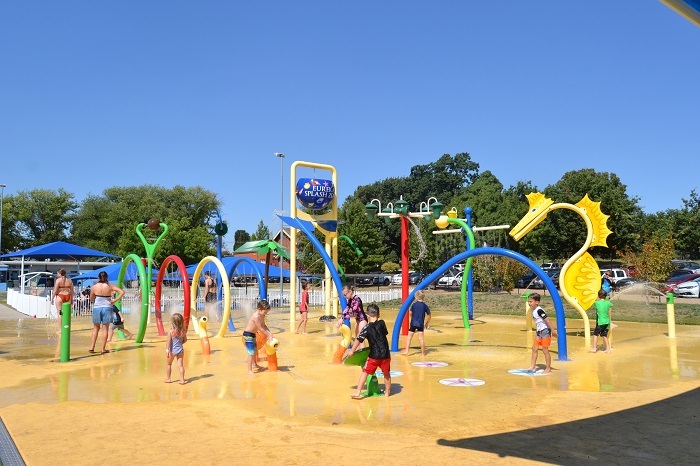 One of the best things to do in Ballarat when it is too hot to visit any attractions, or just to cool off at the end of the day. You can now ride on a piece of Ballarat’s history. This 100 year old authentic tram is still on it’s original tracks. 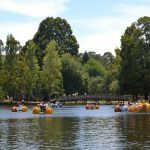 The return trip is 20 minutes and takes passengers through the stunning Botanical gardens by Lake Wendouree. The Ballarat Tram Museum is run by volunteers dressed in authentic uniforms and runs most afternoons. Whether you live in Melbourne or you are on a family holiday, Ballarat is well worth a visit. 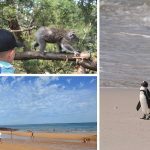 While a day trip to Ballarat is definitely feasible, there are so many things to do in Ballarat with kids that you may need a few days to really explore and appreciate it!